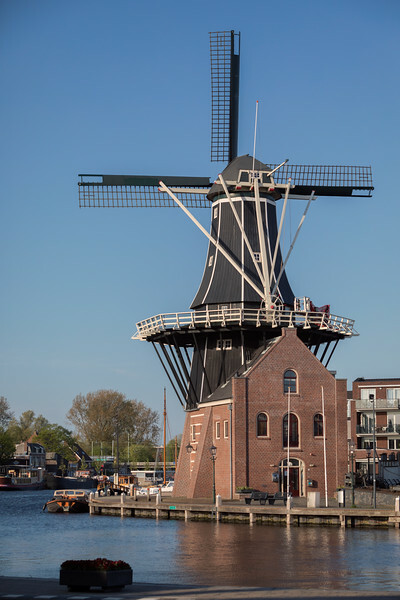 This windmill on the banks of the river Spaarne is a replica of the one originally built in 1778 on an ancient defensive tower which was strategically placed along a bend. Over the years it milled several products including limestone and corn. The original structure burned down in 1932, but was rebuilt through donations from the town.